Massaging your partner and receiving a massage from your partner is a great way to get to know each other on a deeper level. Partner massage increases physical and emotional intimacy and is an intimate bonding experience. Knowing basic partner massage techniques is an essential skill that will pay off dividends in your relationship. Kneading is another simple technique beginners can use and this technique allows you to apply deeper pressure. The advantage of this technique is that you are not pressing down on the recipient but applying pressure between your fingers so you don’t have to be very strong to deliver the right amount of pressure. 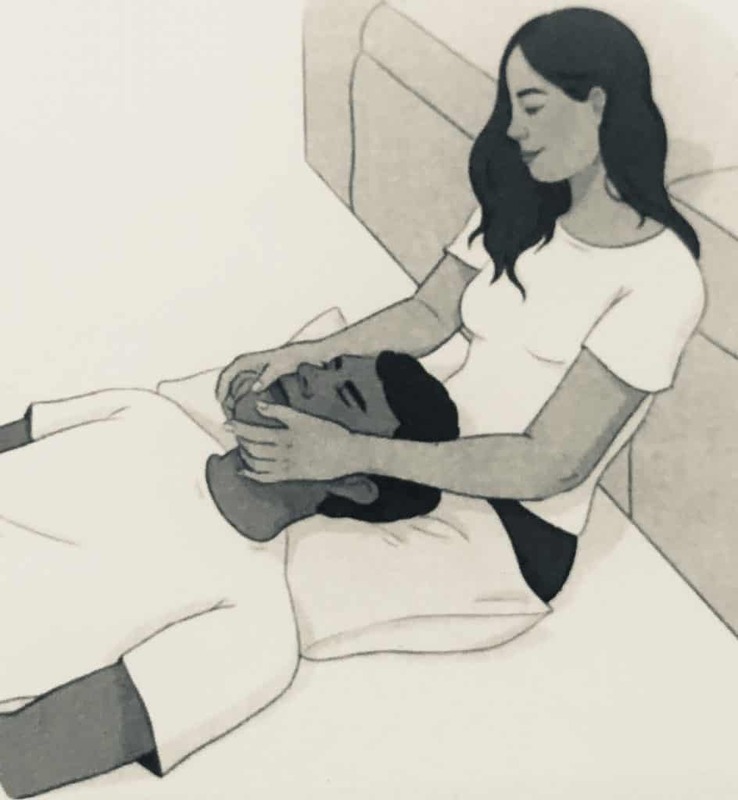 Using a combination of these techniques or using these techniques in isolation in specific positions, you will be able to deliver a high quality massage to your partner today. One of the key elements of partner massage is the ability to both give and receive. Due to this the double foot massage is an ideal partner massage position as it allows both the partners to give and receive the massage at the same time. This is a relaxed casual position where the couples are sitting side by side. This is a great position to use when you are sitting side by side enjoying a movie or a conversation. A partner massage on the bed is perhaps one of the best ways to end the day. This sequence can be performed with or without oil. If you are using essential oils, you can use oils which suit the bedroom such as lavender, ylang-ylang or rose. Using the 3 primary massage techniques : gliding, kneading and friction, combined with the partner massage positions, you have 7 basic partner massage techniques and sequences you can use today. You don’t have to be an expert to use these techniques, just follow the simple instructions given to you. If you would like to further expand your massage skills get a couple’s massage from a certified massage therapist. During a couple’s massage, 2 massage therapists attend to you and your partner. If you are learning partner massage, getting a couple’s massage is a great option to further learn the basic massage techniques from an expert. How do I give a better massage? Learn the 3 basic massage techniques. What should you do after a massage? Many massage therapists will suggest you stay hydrated and drink plenty of water to flush out the toxins after a massage. You can do that, however, after a relaxing massage, the best thing to do is to continue resting and let your body recover.